I just love creating continent studies! They have been so much fun for the kiddos. Today I introduce our South America Unit with free printables. It is everything I had hoped it would be and more. 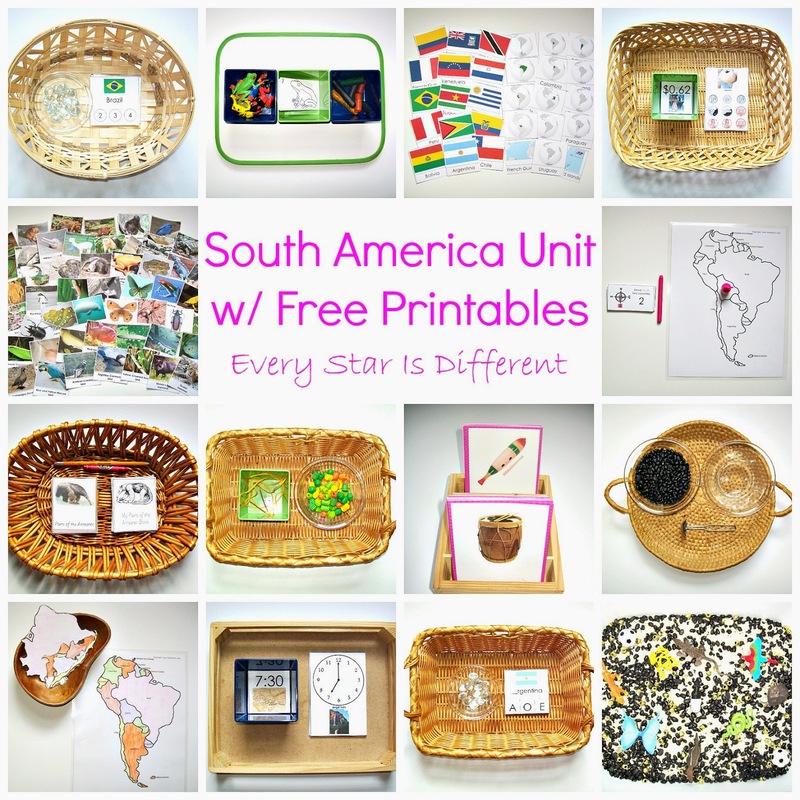 For those who have used our continent printables before, you can be sure this unit includes our South America country syllable cards and animal cards. This is an activity from last year, but it doesn't ever hurt to review. 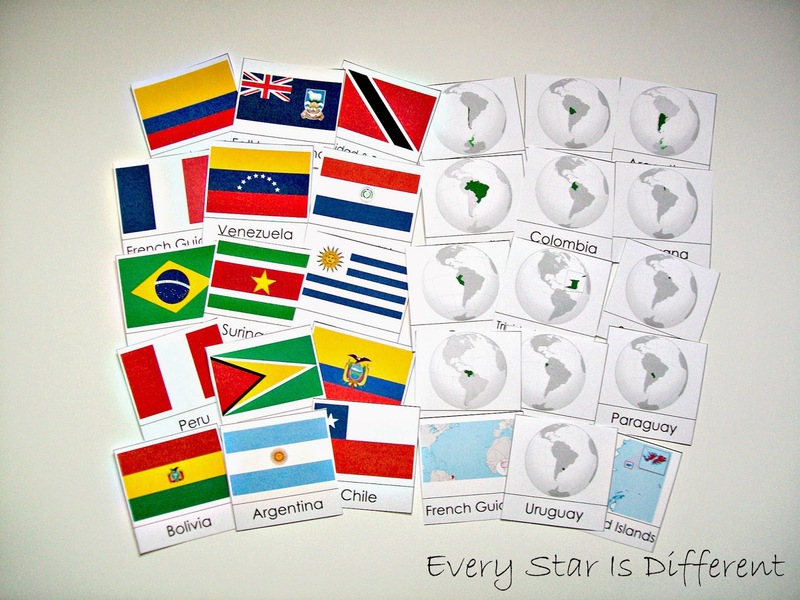 I just love how this activity helps the kiddos learn to pronounce the countries correctly, while they learn the flags at the same time. 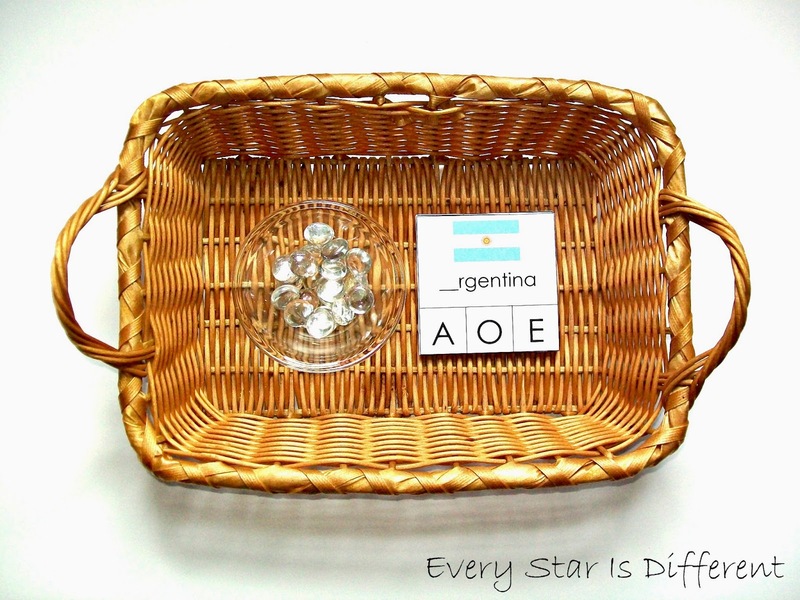 Source: I created this printable as part of my South America Language Printable Pack 1. This is a subscriber's only freebie. 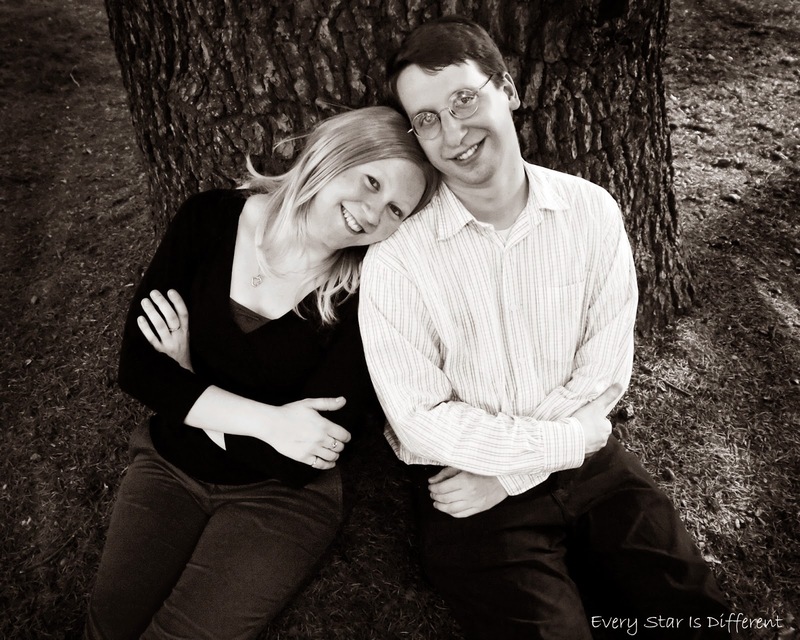 See directions at the bottom of this post on how to access your free copy. These are new this year. We've been working hard for about a month now reviewing letter sounds at the beginning ends of words. Once again, I love how the kiddos learn names and flag associations as they enhance their language skills. We continue practicing our cursive letters using the sand tray this week. The kiddos aren't very excited about the activity anymore. I'm not sure if it's the complexity of the cursive letters, or it's something else. I'm hoping to come up with some other cursive activity ideas for them in the future. 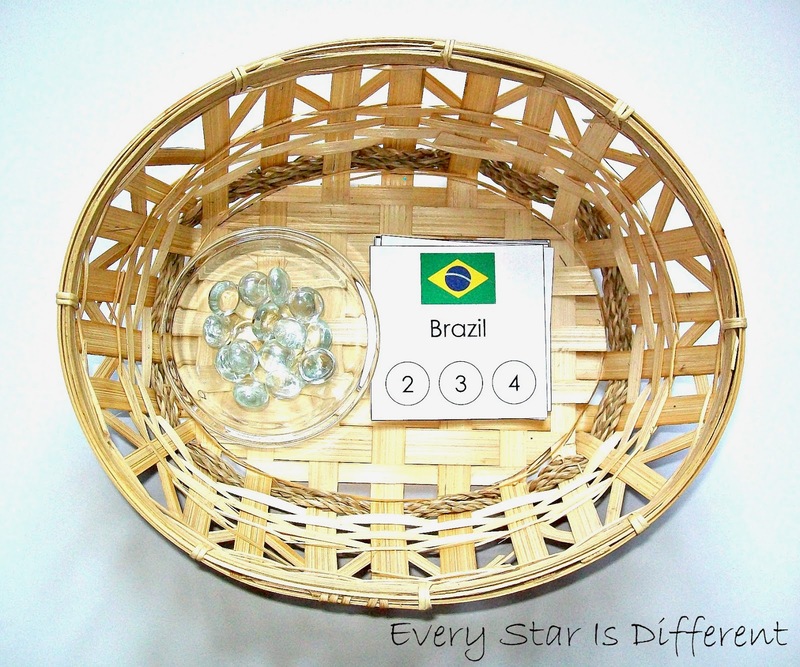 Last year we did a simple matching activity with sites in South America. 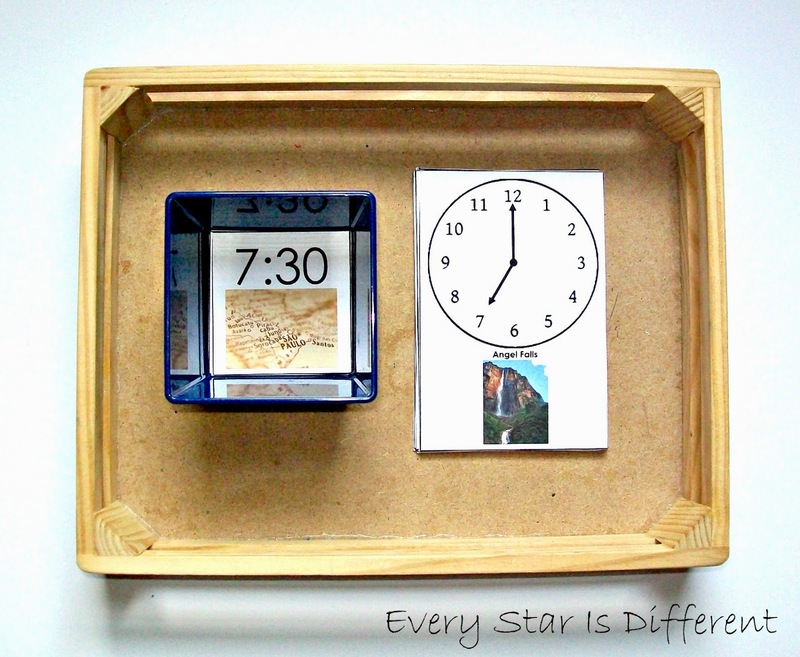 This year, I decided to add the time element to the activity. They still learn about the sites, but must match the clocks on the site cards with the time map cards as they go. Source: I created this printable as part of my South America Math Printable Pack 1. This is a subscriber's only freebie. See directions at the bottom of this post on how to access your free copy. 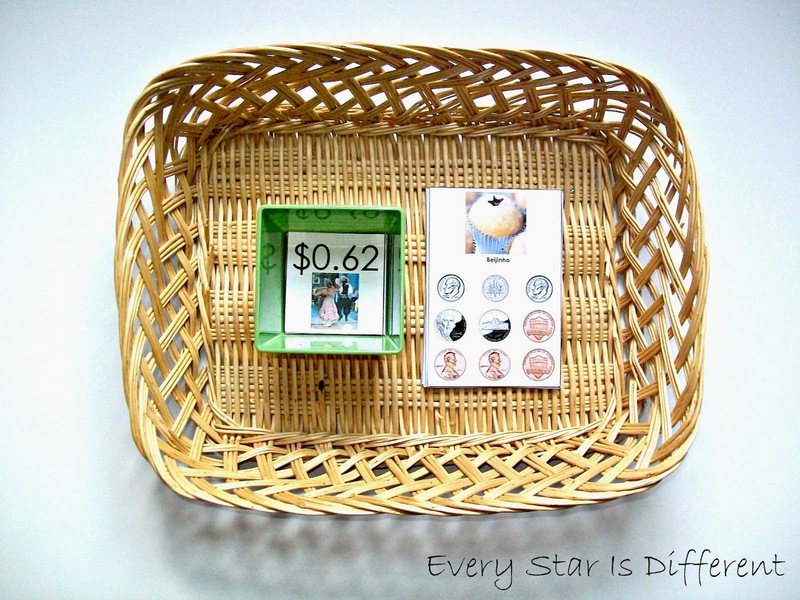 The kiddos will match up South American Dessert cards with money cards provided. This will be the first time I don't provide counter cards for counting by 5s, 10s, and 25s in the activity. I'm hoping they still do well. If not, I'll add them back in. 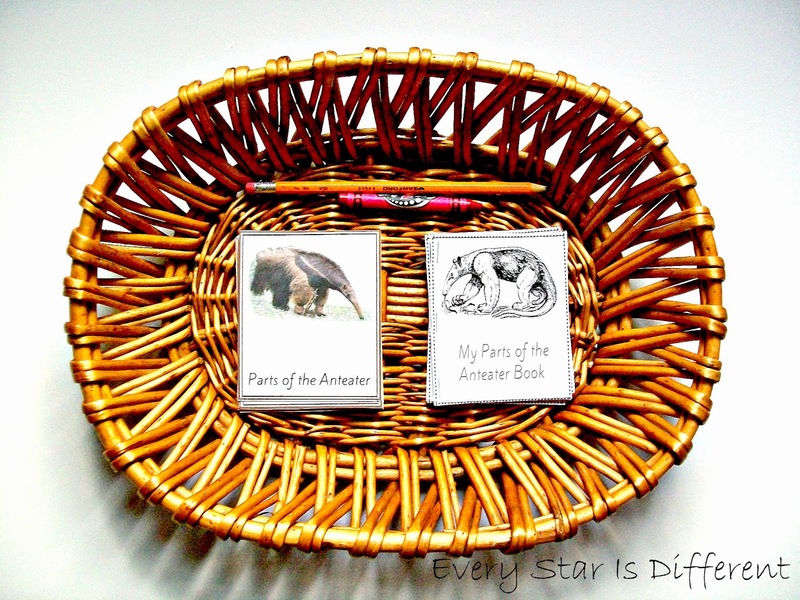 The kiddos will use the "Parts of the Anteater" cards to make their own anteater book. 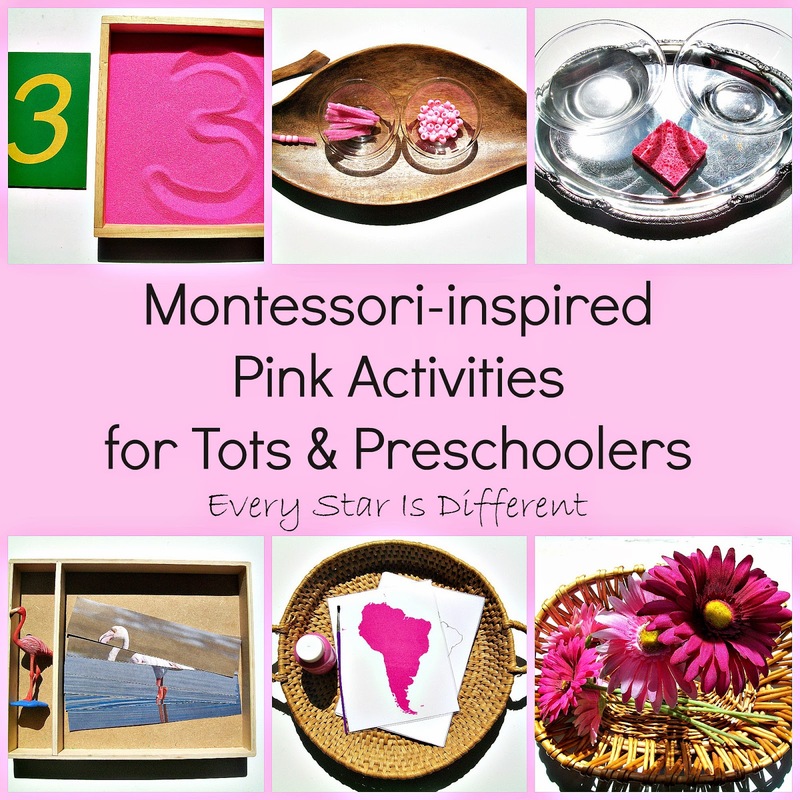 Source: This activity and printable was created by Anastasia at Montessori Nature. For your copy, click HERE. Our 50 animal card tradition continues with this unit. Jason and Dinomite had a blast choosing animals together. The kiddos will look and sort through the cards at their leisure. Source: I created this printable as part of my South America Science & Culture Printable Pack 1. This is a subscriber's only freebie. See directions at the bottom of this post on how to access your free copy. 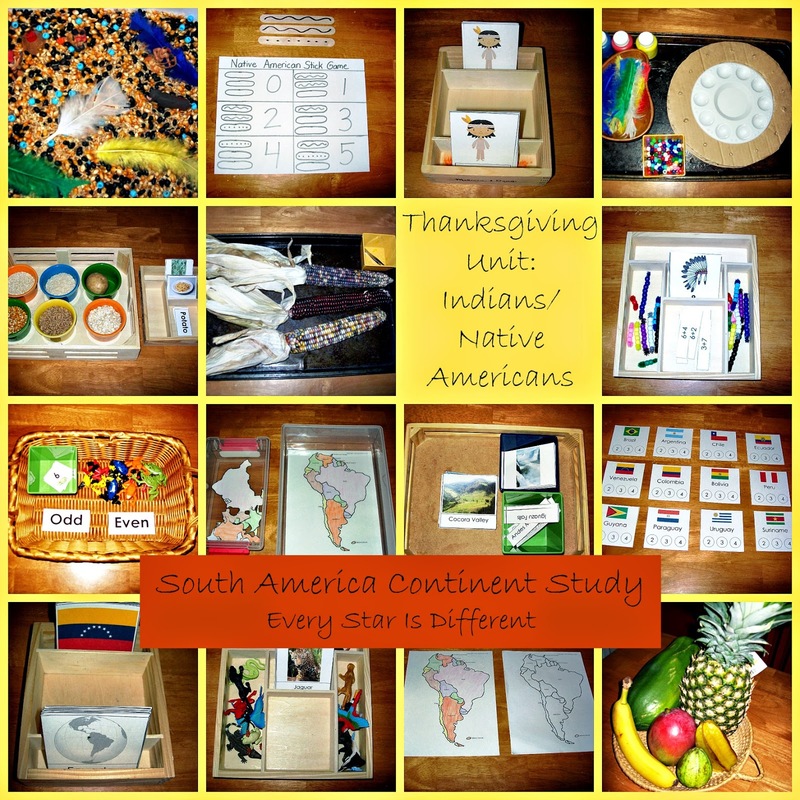 The kiddos will put the puzzle of South America together, using the mat as a control. This is another activity from last year. 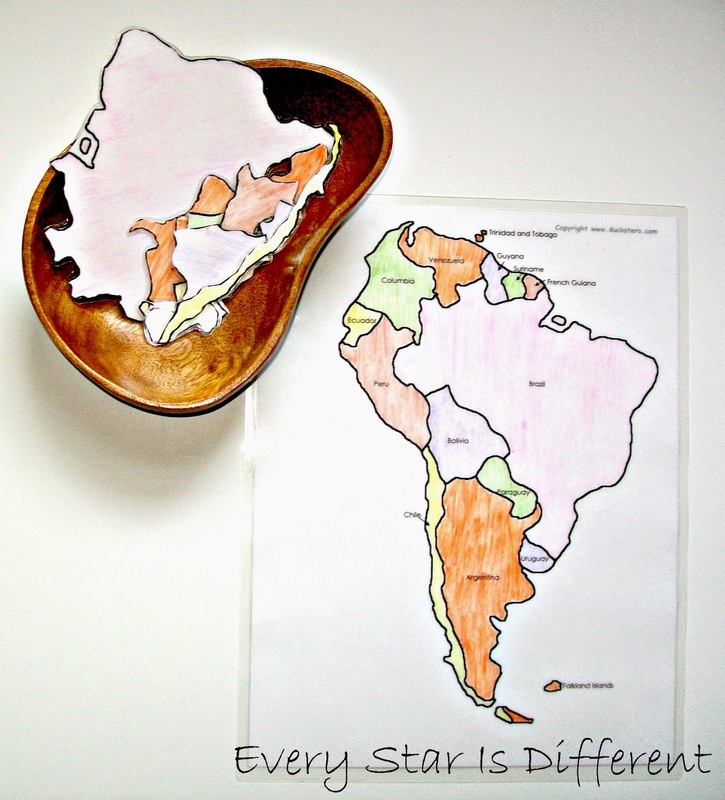 Source: The free map for this activity can be found at Geography for Kids. You will notice I did alter the map a little to fit the needs of kiddos in our classroom. The kiddos will match up flag cards with country cards. If you prefer not to use the country cards, you can always print out two copies of the flag cards. These cards are from last year. The kiddos are learning about directions, maps, and compasses this fall. I thought it would be fun to apply their new found knowledge and skills using a map of South America. 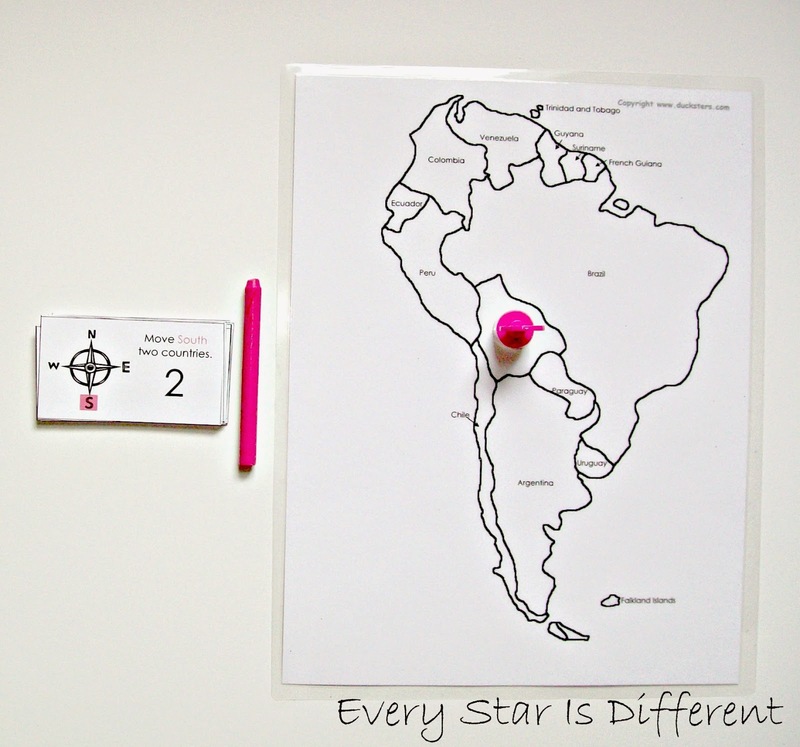 Kiddos will choose where they'd like to place the marker to start their journey through all of South America. Using the direction cards, they will move the marker accordingly. As they visit each country, they will color it in using the pink crayon provided. If they land on a country they've already visited, they just choose another card. This is meant to be an activity for one person. Once the kiddos have gone through all of the cards, they can just shuffle them and go through them again. If they land in an ocean, they can choose to stay there or use another card. 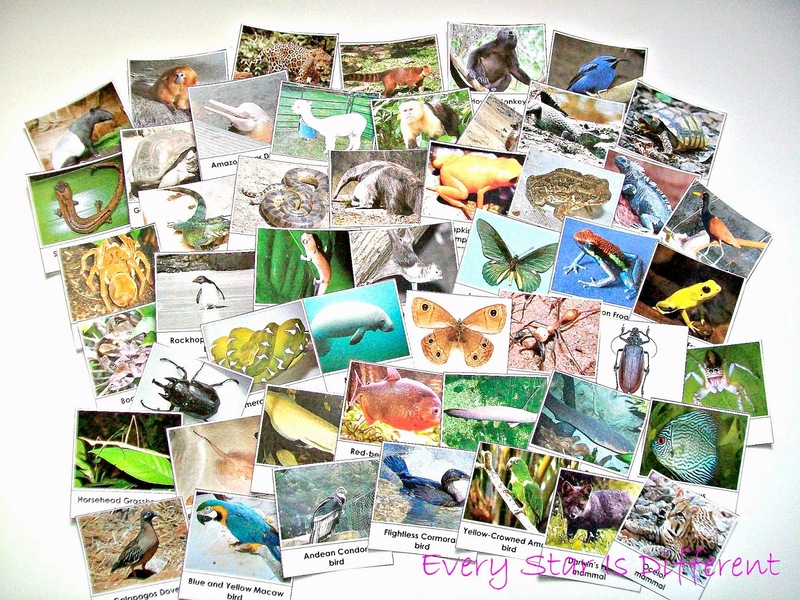 Source: I created this printable cards as part of my South America Science & Culture Printable Pack 1. This is a subscriber's only freebie. See directions at the bottom of this post on how to access your free copy. The free map can be found at Geography for Kids. 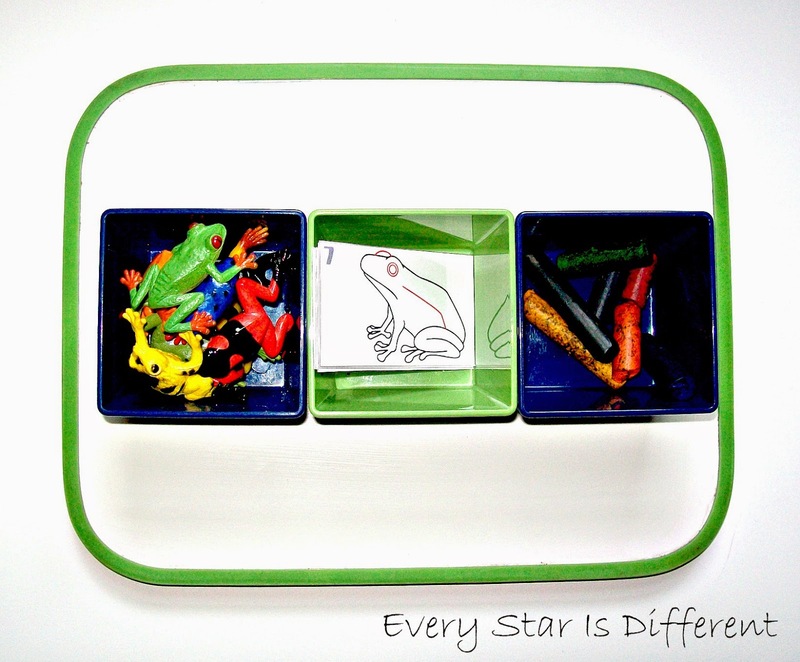 The kiddos will practice drawing and coloring a frog from the rain forests of South America using the step by step cards provided. The frog figures are included as a reference when coloring their frogs. I'm hoping to also add a beautiful butterfly craft to our shelves this week, once I can pick up the materials. For a sneak peak of what it looks like, check out the fabulous craft at Kid World Citizen. 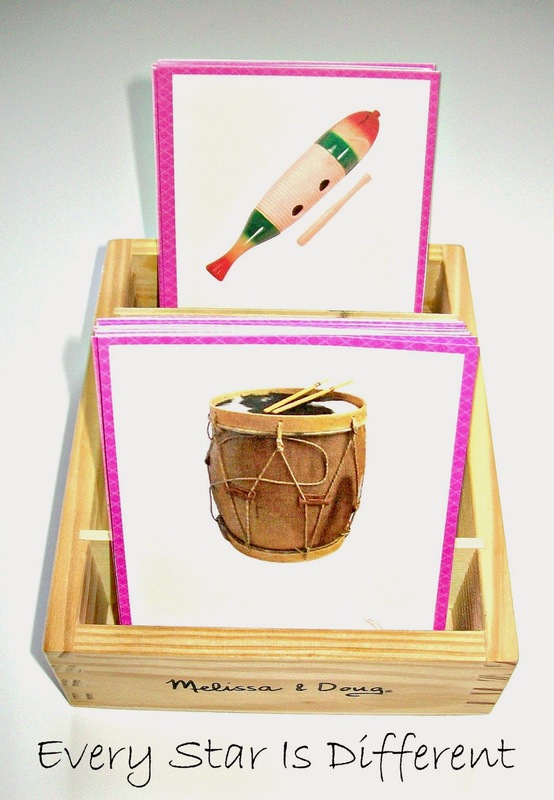 The kiddos will play a memory game using the musical instrument cards provided. 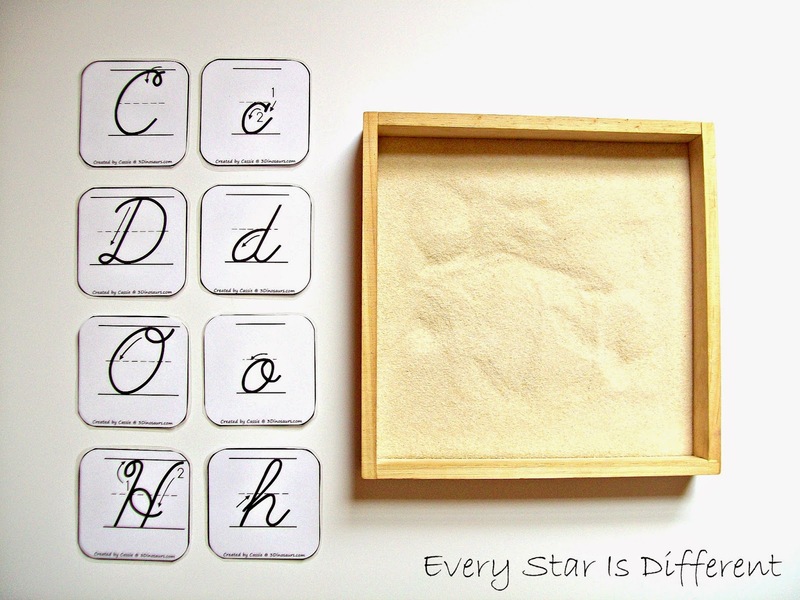 Source: These cards were created by Anastasia at Montessori Nature. For your copy click HERE. 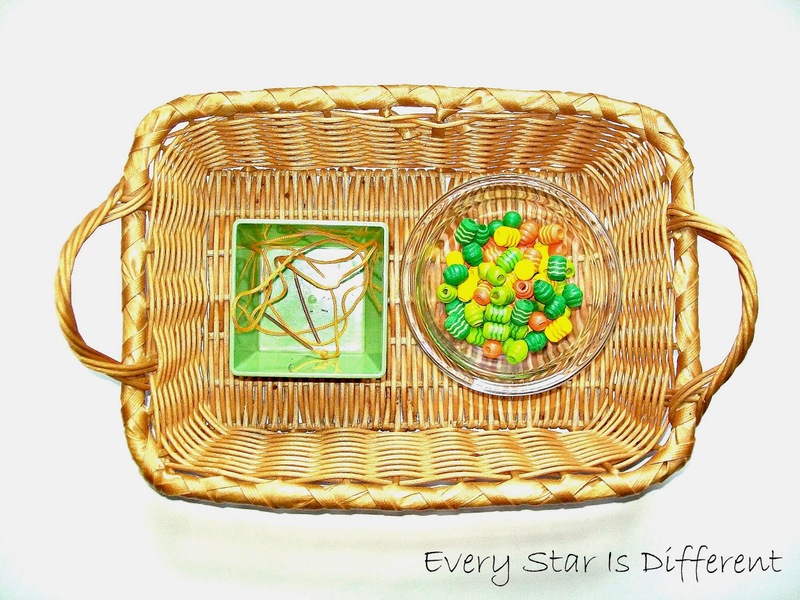 I had high hopes for this sensory bin, but it didn't quite come together like I had wanted. The base of the bin is dried white rice and black beans. Originally I also had coffee beans in the bin, but the smell was just too much for Dinomite, so I had to remove them all. There are also gold beads in the bin to represent gold from South America. I had hoped to include tin and copper too, but was unable to find materials that I liked. 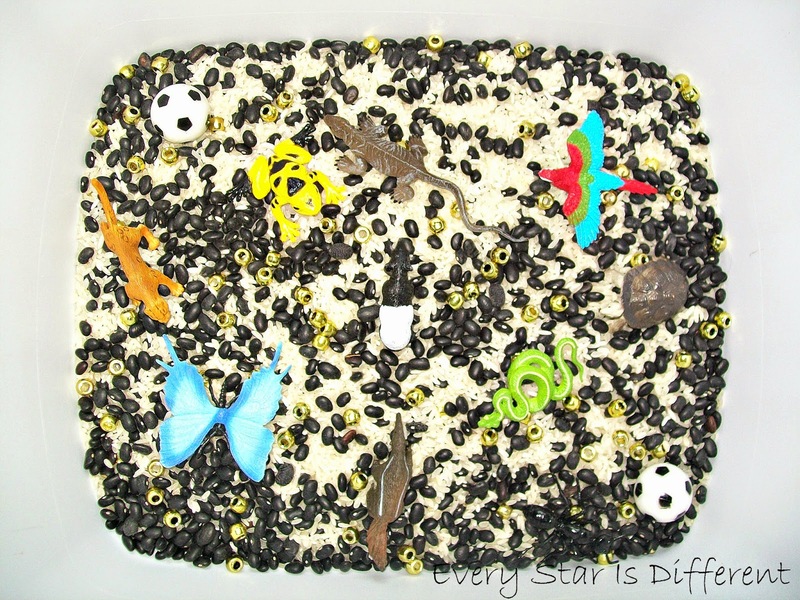 The bin also includes two soccer balls that represent the popular sport and then several different animals from the continent. I had also wanted to include landmarks and places to visit figures, however the one I know we have, I can't seem to find anywhere. So it goes sometimes. Still, the kiddos are enjoying the bin. 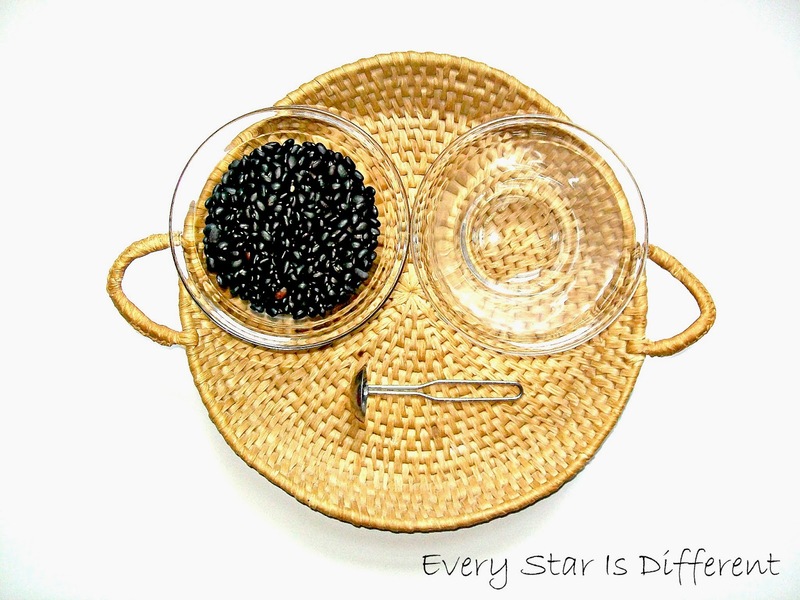 The kiddos will practice their spooning skills transferring black beans from one bowl to the other. South America is known for it's bright colors in dress and jewelry. Using what we have on hand, the kiddos will practice making wooden bead necklaces. Not on our shelves, but definitely part of the plan for our week, is visiting a local restaurant in town with South American Cuisine. It's one of Bulldozer's favorite places to eat! What a fantastic study unit!! 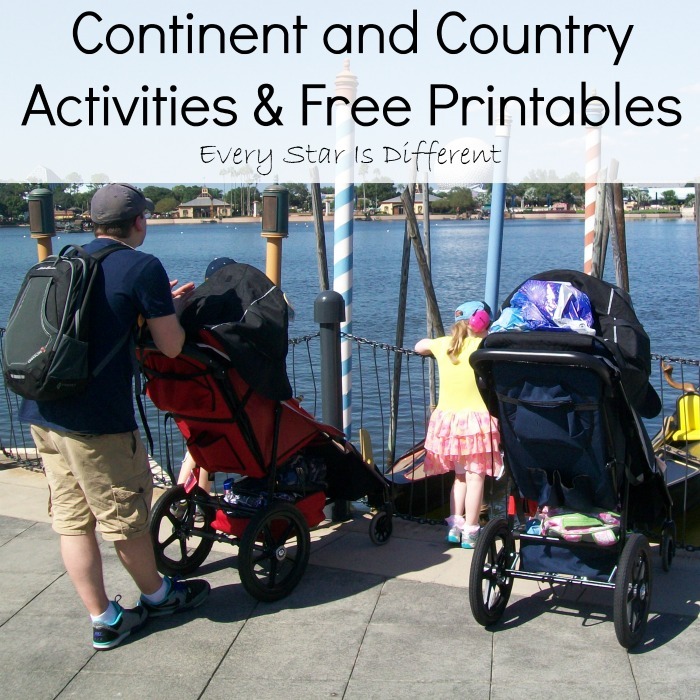 Thank you so much for sharing my printables! Thank you! I love being able to share your printables! 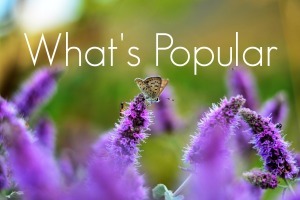 Thank you for featuring out tip sheet for helping readers figure out unknown words! I'm so glad you like the post! The animal activities are pretty great!